The new Worlds Adrift trailer shows off both sides of the game: relaxing exploration and exciting battles in the skies. If it can flip that switch and go from serene to all out war, without missing a beat, it could be something truly different. If you like huge shared experiences, check out our list of the best MMORPGs. 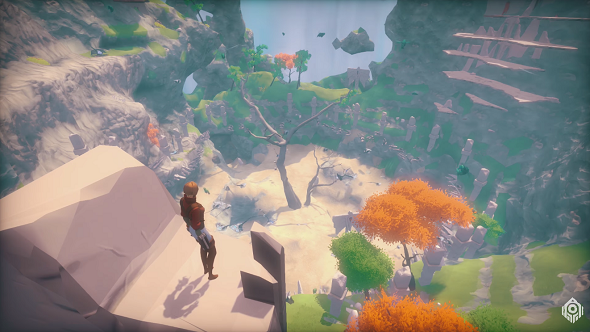 I already love the look of Worlds Adrift, but every trailer makes me more hopeful it will deliver. A massive MMO powered by new technology that lets everyone live on the same persistent server, inspired by one of my favourite RPGs of all time, Skies of Arcadia, and built around a world of complex physics systems. Yes please. Bossa Studios seem like the people to pull it off, too. I mean, they certainly have the experience with physics systems and creating quirky and different games, so that just makes me even more hopeful. Have a watch of the trailer embedded above and let me know how you feel about it. Worlds Adrift beta registration is now open, so sign up at that link. Here’s some further reading on the ambitious MMO.